Will we see you at CTNX this weekend? The long black & white image is our ad in this year’s CTNX Sketch Book. Our booth this year will be at t171, and right next to it will be the booth for Fenway Fan, our Lead Character Designer, as well as the designer of all three levels of the Home page on the website. 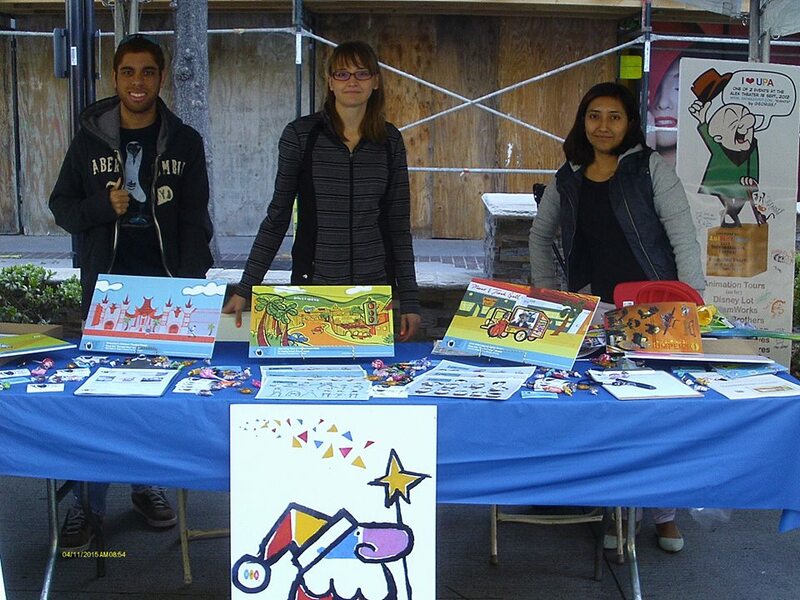 The crew members on our Booth team thi s year are Gwendolyn Arreola, Gloria Arteaga, and Terry Wilson, led by Tee Bosustow. Gwendolyn, Terry, and Tee, are old pros for our CTN Road Trip booths in 2014 and 2015. Kevin Cannarile joined the 2014 team, and Rosie Albright came aboard for the 2015 Road Trip booth. Gloria Arteaga fills that extra spot for the 2015 CTNX booth. We are so thankful to have such talented and dedicated crew members. 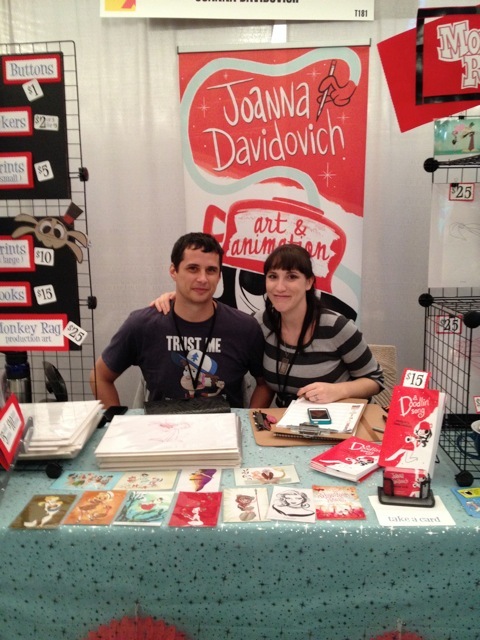 Attached, you can see an image from last year’s CTNX, of the booth of Joanna Davidovich, one of our top character designers. I hope all of you can come by our CTNX booth this year, if just to say hello. We’ll have some give aways, some items for sale, some surprises, and a monitor to run some of our videos. Plus, if you miss any of us strolling around the floor with hand-outs, we’ll have everything at the booth as well.